Elvis Presley spent the summer of 1969 and February of 1970 in Las Vegas, playing well over 50 shows at the International Hotel. 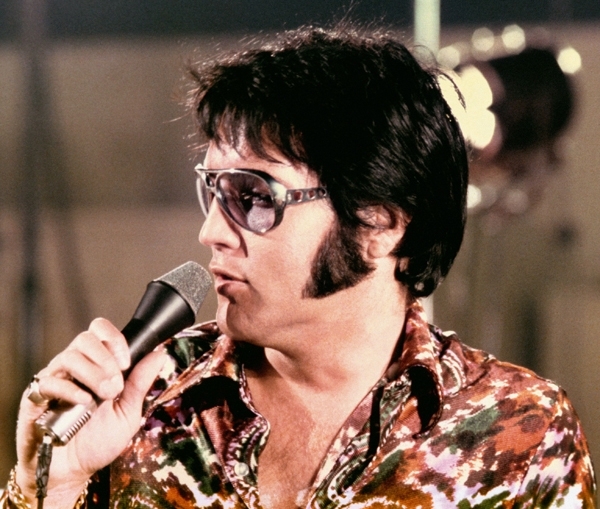 On July 14th, 1974 – 34 years ago today – he went to the MGM lot in Culver City, California, to start rehearsals for his third run, scheduled to begin on August 10th and be filmed for a new documentary, Elvis: That’s the Way It Is. This fall, that documentary and the album of the same name will be getting another reissue, blown out across eight CDs and two DVDs, available August 5th. These include the original album, outtakes, the film’s theatrical release and 2,000 extended reissue and six discs of live sets. Now at Rolling Stone, you can stream a previously unreleased take on “I Just Can’t Help Believin. '” The 8CD/2DVD Deluxe Edition is available for pre-order on Amazon, as well as a 2CD Legacy Edition.